WASHINGTON, D.C. — After 20 months of negotiations and the passage of several deadlines, the White House has reached a ‘historic’ agreement with the Islamic Republic of Iran. Some on Capitol Hill are scoring the deal as a win for President Obama, who since his 2008 election has pushed for negotiations with Iran to end its nuclear program against stiff criticism from congressional Republicans, some Democrats and the government of Israel. Israeli President Benjamin Netanyahu believes otherwise. The leader of the Jewish state agreed with White House Officials that the deal was historic in nature, but called it a “historic mistake for the world.” He and American critics of the agreement say it would leave openings for Iran to continue to work toward nuclear capability. Because the Obama Administration missed the most recent deadline to finish negotiations last Friday, according to U.S. law, Congress has 60 days to review and debate the deal. Congress could pass a resolution to approve or disapprove the agreement, which would be subject to a veto by Obama. The deal reportedly prevents Iran from producing enough uranium and plutonium to make a nuclear weapon for at least 10 years and allows inspectors to have access to Iran’s nuclear facilities, including military sites “where necessary, when necessary” if nuclear activity is suspected there. But that falls short of the demand of some Senate Democrats and all Republicans for “anytime, anywhere” inspections of Iran’s military facilities. 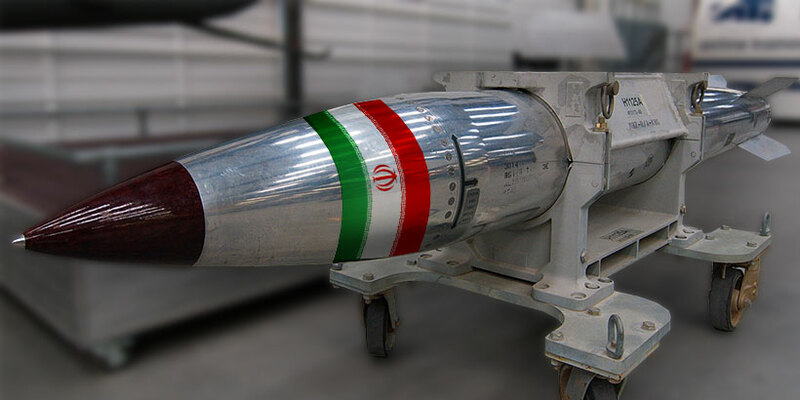 Lawmakers also fear the International Atomic Energy Agency (IAEA) won’t be able produce a full accounting of Iran’s past alleged efforts to build a nuclear weapon. The agreement would lift a bevy of United Nations restrictions on the nation’s power including the arms embargo after five years, and the ballistic missile ban after eight, as long as the country abides by the terms of the deal. That provision is staunchly opposed by many Senate Democrats and top military leaders, who have expressed concern Iran could use legal weapons sales to bolster their allies in Syria, Yemen, and the Palestinian territories. Congresswoman Martha Roby (R-AL2) said she was “disappointed” Obama and Secretary of State John Kerry abandoned their goals of dismantling the Iranian nuclear program. “More broadly,” Roby continued, “I fear this deal will work to aggravate an already dangerous and volatile region. It’s no secret that Iran is the world’s foremost state sponsor of terrorism. I fear this deal will only embolden those efforts with little more than hope that they’ll change their ways. Congressman Robert Aderholt (R-AL4) added his thoughts Tuesday evening. “Despite the President’s promise that any deal with Iran would guarantee a halt to Iran’s nuclear weapons program, the deal announced today appears to fall far short of that goal. During his remarks, Obama said he welcomed a robust debate with Congress, but then immediately threatened to veto any legislation that could prevent the implementation of the agreement. While the response from congressional Republicans has been nearly unanimous, a significant number of Democrats would need to revolt against the President to overturn an Obama veto. Democratic Presidential candidate Hillary Clinton has come out in support for the President’s deal, but during her 2008 campaign, Clinton called then Senator Obama “reckless and naive” for his willingness to negotiate with Iranian leaders without preconditions. In a Democratic Presidential debate, Clinton threatened to destroy Tehran if it used nuclear weapons against Israel and Obama likened her to George W. Bush.